Crux is the smallest of the 88 modern constellations, but is one of the most distinctive. 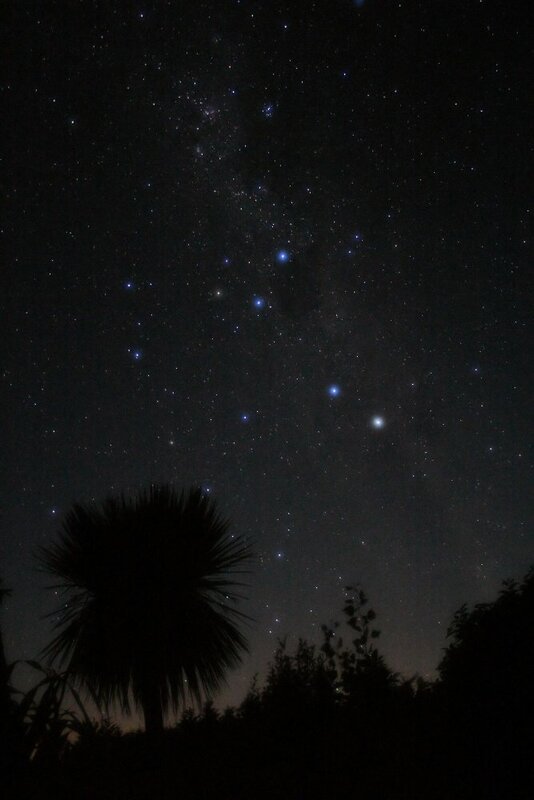 Its name is Latin for cross, and it is dominated by a cross-shaped asterism and is commonly known as the Southern Cross because it is today visible mostly from the southern hemisphere. The cabbage tree (Cordyline australis) is endemic to New Zealand. It grows up to 15 m tall, at first on a single stem, but dividing into a much-branched crown; each branch may fork after producing a flowering stem.